Ours' is a paramount organization that is engaged in rendering services offered by Epoxy Flooring. These are applied on concrete surface, which provides high strength flooring & tank lining and are capable of withstanding extremely high loading, wear and chemical resistance. This offered services is extensively demanded in various industries. Application Notch Trowel & Spike Roller. We are an eminent organization engaged in rendering Mastic Flooring to our valuable clients. Our services is rendered in compliance with the international quality standards with the help of our cutting-edge tools and technology. The offered services provides a hard wearing and durable surface, which resists the passage of dampness. Further, the material we use in this service is quality tested so as to ensure fine finish of floors. We have come up with Epoxy Coatingservices for our esteemed customers. The offered services are rendered utilizing supreme class factor inputs and high end technologies, keeping in mind set industry norms. Our services are designed for hard wearing, smooth surface finish for floors, walls and on steel structures. Further, these services are also provided as per the specifications provided by the customers. Our organization offers reliable services of FRP (Fibre-reinforced plastic ) Liningto our customers. These services are rendered by our highly skilled professionals, who have immense expertise in their respective domains. Our offered services is widely used in diverse applications such as leak proofing of roof tops, tank lining in chemical industries, anti corrosion treatment of metal tanks and many more. 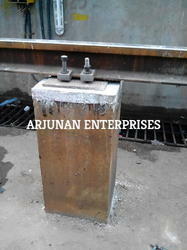 These services are capable to withstand harsh conditions, thus widely demanded in various industries. 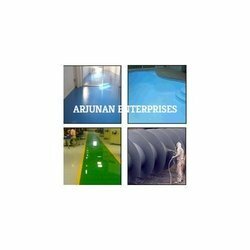 We are the Leading Manufacturer of Epoxy Grouting in Tamilnadu. Looking for Flooring & Coating Services ?